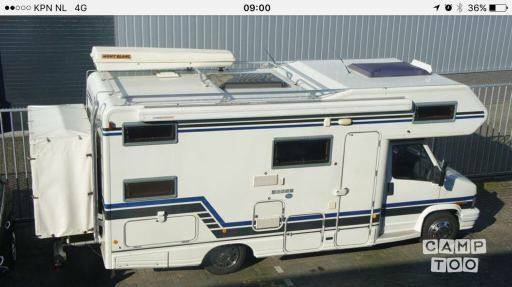 Wonderful large motor home equipped with all comforts. Possibly. Trellises for the beds in the bunk and seat .. Separate shower, separate toilet, large bathroom. Bicycles can join! Lots of windows that open. Cozy decor! One drawback: the motor home has 6 seats including 4 with seat belt. The camper has a safe. We rent the camper only to families and especially for festivals ..